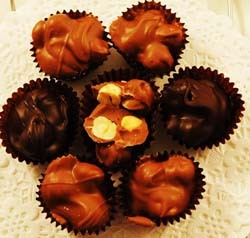 The woodsy, natural flavor of hazlenuts blends so harmonously with the milky taste of Dorothy's Swiss chocolates. A divine combination! From Vicki Olsen of Lockport, Illinois on 11/18/2013 .